MSS Performance and Colchester Kawasaki will be supporting ‘Roads’ star rider William Dunlop with a specially prepared Kawasaki Ninja ZX-10R Superstock machine for the 2016 Isle of Man TT Races fuelled by Monster Energy. The activity sees Nick Morgan and the renowned MSS set-up continue their tuning work on the Ninja family with the new 2016 machine already in race development. Thirty year old William will be continuing the legendary Dunlop family tradition ‘between the hedges’ with MSS Performance chosen for their renowned experience on the Ninja in the popular production class. MSS has made its name tuning and preparing bikes from the Akashi based manufacturer, with many current British Superbike teams using their services. An MSS prepared machine took local Essex rider Danny Buchan to a dominant 2014 National Superstock title. William will be riding the Superstock Kawasaki in the ‘big three’ internationals; the Isle of Man TT fuelled by Monster Energy, North West 200 and the Ulster GP along with Irish National road races. Crucially, the TT winner will also be campaigning in selected National Superstock races at the MCE British Superbike Championship to work on his race pace and keep him ‘sharp’. The MSS squad are preparing the heavily revised 2016 ZX-10R, which is reckoned to be an even more potent Superstock machine, having already taken the National Superstock series crown for the last two seasons. William’s efforts in 2016 will be co-ordinated with CD Racing who will be running the Ulsterman on a variety of machinery. 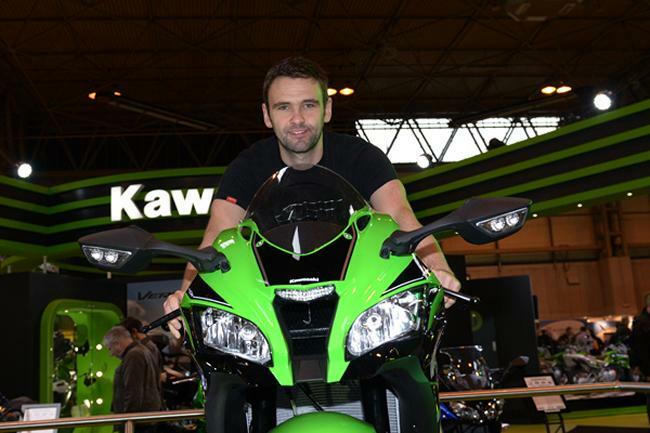 “With the arrival of the new Kawasaki ZX-10R, 2016 is the perfect timing for the MSS Colchester Kawasaki Team to return to Road Racing with William Dunlop. We are looking forward to a full testing programme along with some wild card entries in Superstock 1000 in BSB with William, which I feel is essential to be competitive at the major road events. With more riders combining short circuit with the roads, gone are the days of just rocking up and being competitive. The lads are race sharp and in a short circuit frame of mind, and this I feel is exactly where we need to be with William and the team.